Image of a line drawing of a young woman pulling up a hoodie sweatshirt against a floral background. 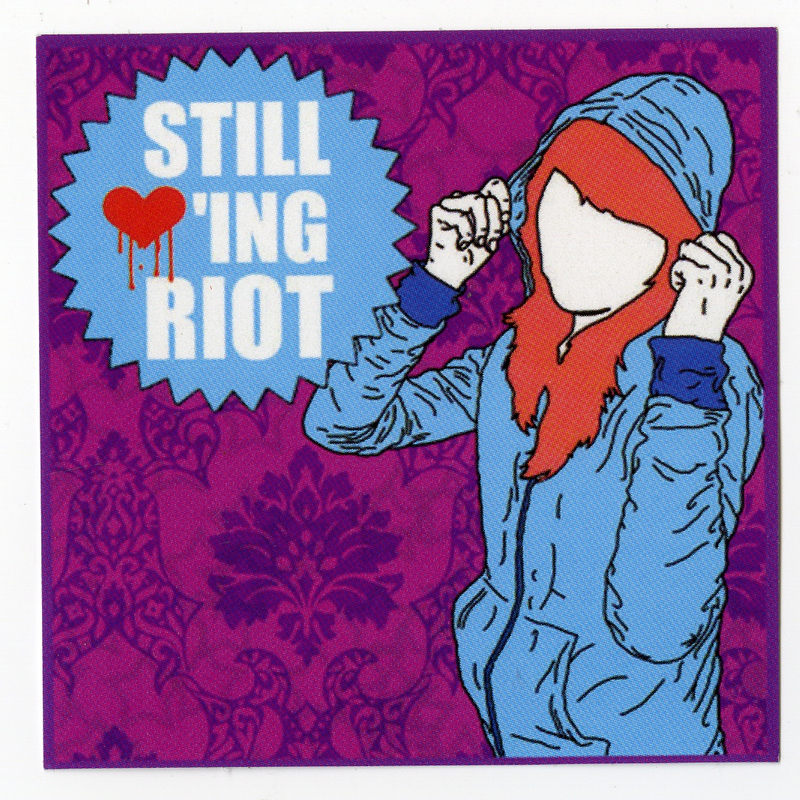 She has bright orange hair and no facial features, exemplifying perhaps the anonymity surrounding rioting. The figure is a digital graphic line drawing, which contrasts the purple organic floral background. The red heart depicted in the text is bleeding. “Riot” in the text may refer to Inforiot, a German website that features alternative films, lectures, and other activities, as well as tips for cyber security, making signs, and attending protest demonstrations.